The Police Force and Fire Brigade have a long history and many who have served in these emergency services are keen collectors of the uniforms and equipment used. From the early beginnings of private policeman hired by large estates through to the police officers of today, the tipstaff or truncheon has been a constant. 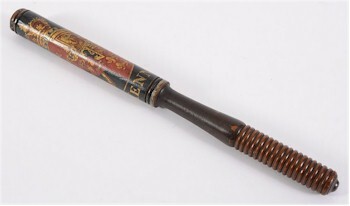 Some of the earliest truncheons were highly decorated in colours and gilt with estate or town names and are eagerly sought after by collectors. 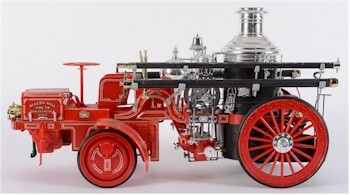 The iconic uniform of both the Police and Fire Brigade such as the blue cloth helmet to peaked caps of the modern force, or the brass Merryweather fireman's helmet are among some of the more treasured items sought after by collectors. 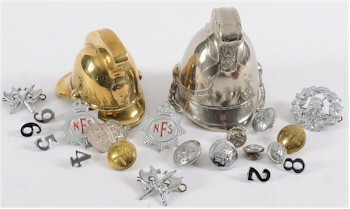 Fire Brigade Badges and Helmets. Uniform badges, helmet plates and lapel badges are also sought after, as well as police whistles and firefighting equipment. Caps used by the emergency services. Emergency Services Helmets and a Whistle.